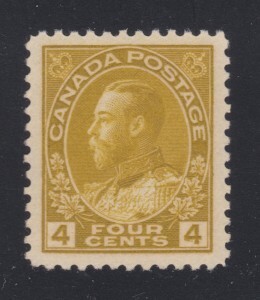 Lot 391 Canada #113iii 1912 7c sage green Admiral with Retouched Line in Upper Right Spandrel, mint never hinged, with deep colour and very fine. From the Summerhill Collection. Unitrade CV$600, sold for $500 plus buyer’s premium. 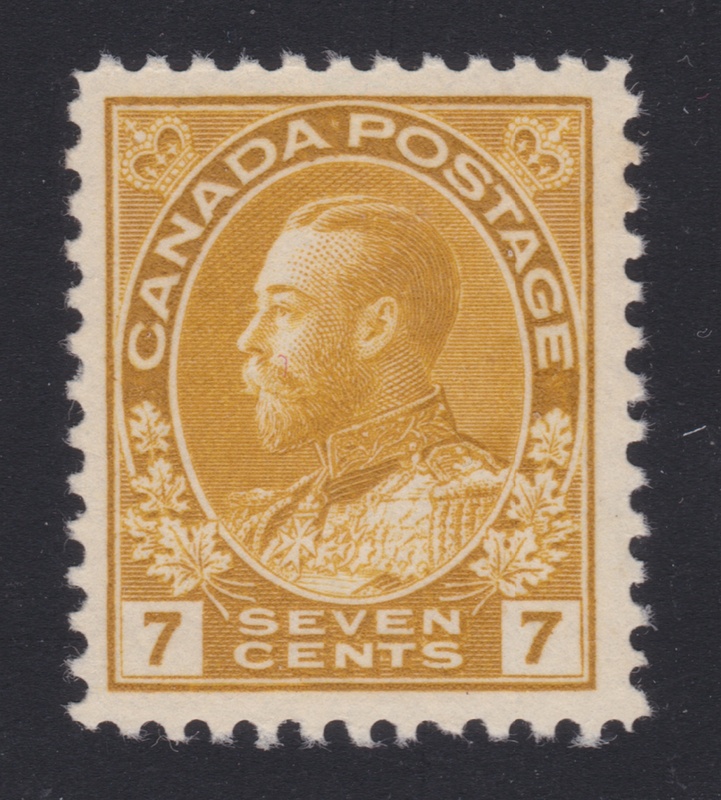 Lot 365 Canada #110b 1922 4c olive yellow Admiral, Wet Printing, mint never hinged, extremely fine. From the Summerhill Collection. Unitrade CV$240, sold for $240 plus buyer’s premium. 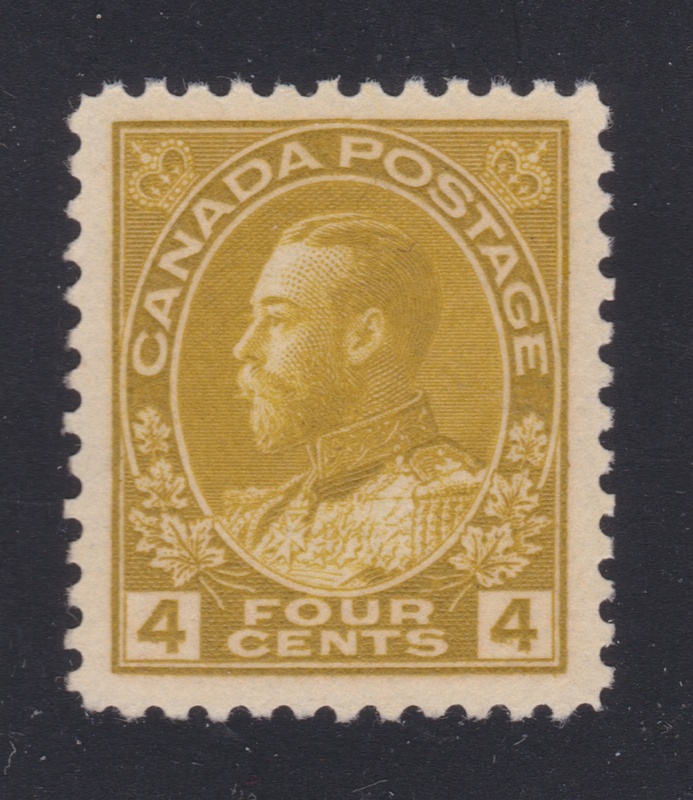 Lot 131 Canada #50 1897 ½c black Jubilee, used, with neat part c.d.s. 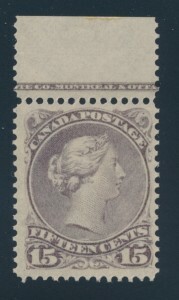 cancel and sheet selvedge at right, very fine. Unitrade CV$150, sold for $120 plus buyer’s premium. 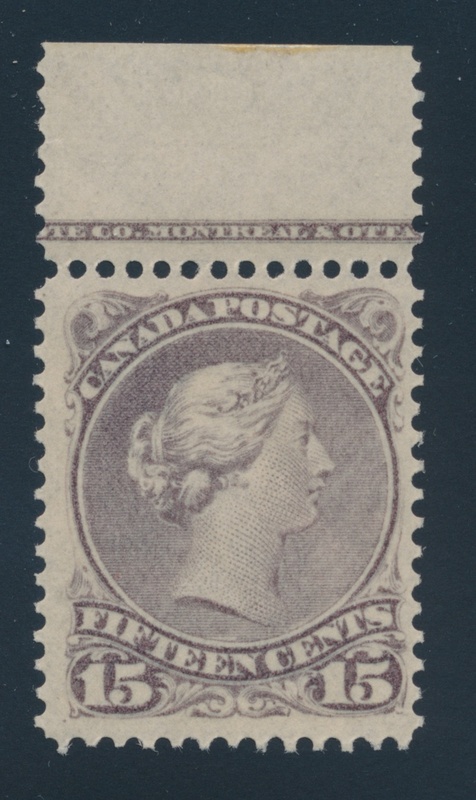 Lot 82 Canada #29i 1868 15c purple Large Queen, mint never hinged, with large part of the printer’s imprint in sheet selvedge at top, fresh and very fine. Accompanied by a 2014 Greene Foundation certificate. Unitrade CV$500, sold for $425 plus buyer’s premium.